The following case studies represent real solutions and actual customer experiences with OctoTools, OctoPDF, OctoBurst, and OctoPCL. 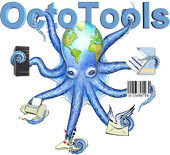 OctoTools has replaced the other products but the savings and productivity using OctoTools would be equivalent or higher. The productivity gains and savings shown in any specific case study would be applicable across all of our product lines. We have put together these case studies in hopes of providing a specific solution for you. If you would like to pursue a specific case study further, please call us and we would be glad to provide additional information. There are many variations and combinations in which our packages can provide solutions. We feel that the cases studies will get your imagination going and how we can quickly solve your problems.